Truth be told, most Americans do not get the amount of sleep that their bodies need each night. Regardless of what you do for a living, chances are that at some point during any given week you commute to or from work in a slightly sleep deprived and think nothing of it. However, drowsy driving is extremely dangerous. The National Highway Transportation Safety Administration (NHTSA) estimates that perhaps as many as 100,000 accidents annually can be traced to drivers who actually doze off behind the wheel of their vehicles. Now imagine the dangers that your sleep deprivation would create if your job required you to operate a semi-truck on the open roads day in and day out. The Federal Motor Carrier Safety Administration has stepped up its regulations in response to the growing concern for the number of 18-wheeler collision caused by drowsy truck drivers. However the now stricter regulations still allow a truck driver to be behind the wheel for eleven hours a day, which anyone who has been on a road trip knows is a lengthy amount of time to be driving without experiencing some degree of fatigue. Moreover, there is very little incentive for a truck driver to drive a minute less than the maximum limit allowed, regardless of how drowsy he may become. The pressures are high to meet deadlines and remain on schedule. Indeed, some trucking companies encourage or even force their drivers to misrepresent the time spent driving on their daily logs in order for the drivers to spend more time behind the wheel. It is largely a self-reporting system that allows significant room for dishonesty among unscrupulous trucking companies and drivers. Unfortunately, many of us move through our daily lives in a sleep-deprived state; however when someone who operates a large semi-truck for hours every day across miles of highway does so while deprived of sleep, it is nothing short of negligence. Drowsy driving has been proven time and time again to cause tragic wrecks, and if a semi-truck driver causes such a wreck because he is sleep deprived, both he and his employer can and should be held accountable. 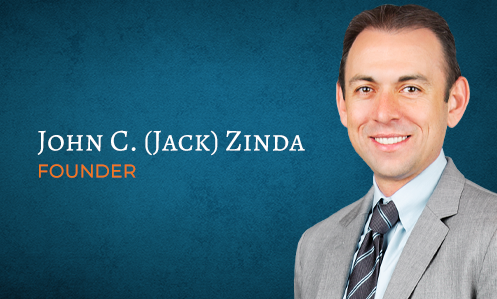 If you’ve been injured due to the sleep deprivation of an 18-wheeler driver, contact Zinda Law Group today so we can help you recover compensation for your injuries after a trucking accident by calling 800-863-5312 today. One of our qualified Texas Truck Accident Lawyers will evaluate your case and review the scope of your legal options. We look forward to your call, and making a difference for you.